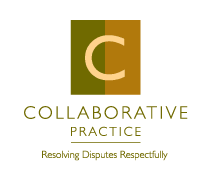 REGISTRATION FOR ADVANCED TRAINING - Collaborative Family Law Group of NE FL - Collaborative Divorce, a better way Collaborative Family Law Group of Northeast Florida, Inc.
Advanced Training: Option Building - What's Different? Are you or professionals in your community struggling with the differences between interest-based discussions and positional bargaining? Are you or your teammates having difficulty letting go of traditional settlement negotiations as compared to Collaborative option-building methods? In this one-day advanced training, join us as we go in-depth at cutting edge option-building techniques, learn how to prepare your client for difficult discussions, and enable your clients to reach truly durable agreements! Time: 9:00 AM to 4:30 PM Breakfast starts at 8:45 AM, Lunch & Beverages will be served. Sponsorships are still available. Download sponsorship opportunities here.